For 2019 the first 5 Events rather than all 6 events will be used to calculate points, therefore participants who take part in all 5 Events could score higher points by calculating results in all events rather than best finishes. The final event for 2019 will be a stand-alone race day and will incorporate an Ultra Event plus Series winners will be announced. This will allow ample time to calculate the final series final results, rather attempting to do so in real time. Points will again be awarded: 10 for win in category, 7 for second, 5 for third, 3 for fourth and 1 for 5th place. For 2018 we had only points to work from rather than points and accumulated times, which resulted in multiple participants scoring equal points without being able to rank them individually. ( where multiple participants finished in the same position in 3rd, we did not award trophies) We will keep accumulated times over the series for 2019 to be able to resolve this issue. From a cost perspective, events are very expensive and much harder to sustain financially as is generally understood. We would like to thank you for your patience and understanding. We have turned the corner financially without a sponsor but are working to conclude sponsorship to improve the event in general and to enable us to afford better rewards, safety and controls. Standard Road Triathlon, Cross Triathlon and Duathlon 7:00am. Sprint Triathlon and Cross Light TRI at 7:00 am. 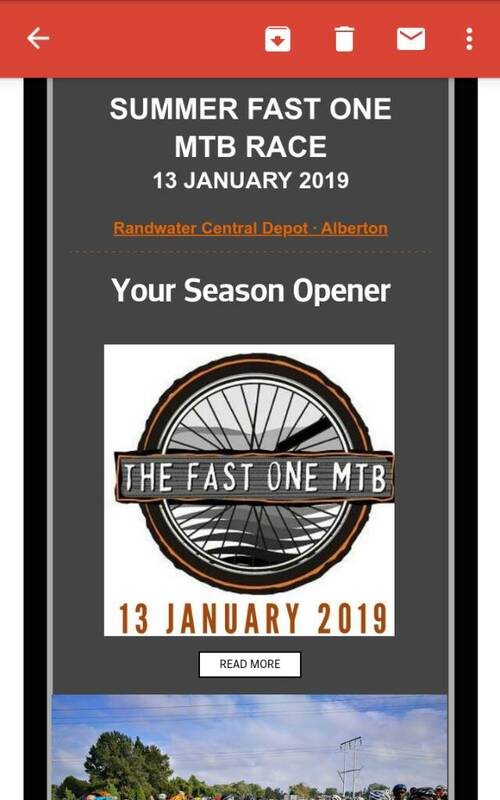 No- Fast One 13 Jan, REDHUB 27 JAN.
Maybe just check up if was changed, because on cycleevents it shows as 27 Jan 2019. Not sure which one they were talking about. Yeah, I was talking about the road one that is on the same date as the triathlon. I can't read half of the first post with that funny font. It is compacting into overlapping letters and only readable copying it to notepad.